These incredibly juicy globes of Instant Pot Meatballs are seriously delicious umami bombs! These Instant Pot Meatballs are great with so many things: spaghetti, pasta, sliders, subs, pizza, polenta, or just enjoy them on its own. You can make these meatballs in Instant Pot when you’re looking for something easy, fulfilling, and thrifty. Definitely perfect as make ahead freezer Instant Pot Meals for those busy weeknights, treating guests or make a big batch for potluck parties! Instant Pot Meatballs (Pressure Cooker Meatballs): Make these delicious cheesy umami meatballs in tomato sauce with bursting smokey flavors. Perfect thrifty make ahead freezer meals your family will love! Mix Meatballs Ingredients: Combine all the meatballs ingredients in a large mixing bowl. *Pro Tip: Add the dry ingredients first, then the wet ingredients. Mix well with your hands. Ensure the egg is beaten before adding it to the meatball mixture. Make Tomato Sauce: Combine all the tomato sauce ingredients in your Instant Pot or pressure cooker. Mix well until the tomato paste dissolves into the tomato sauce. Close lid and pressure cook at High Pressure for 5 minutes, then Quick Release. Preheat Oven & Test Seasoning: While the tomato sauce is cooking, preheat oven to 450°F. Test the seasoning by cooking a small portion of the meatballs mixture on a skillet over medium-high heat. Make Meatballs: Gently roll the meatballs mixture with your hands into ball shapes. *Pro Tip: As shown in the video, we like to serve ours slightly bigger than the size of a golf ball. You should be able to create 8 – 12 meatballs with the listed amount of ingredients. Brown in Oven: Place a piece of parchment paper on your baking tray and gently place the meatballs on it. Place the meatballs in the oven for roughly 12 – 16 minutes until the top is browned but not dried out. Pressure Cook Meatballs: By now, the tomato sauce should be done cooking on the first cycle. Remove the meatballs from the oven and fully submerge the meatballs in tomato sauce in Instant Pot or pressure cooker. Close lid and pressure cook at High Pressure for another 5 minutes, then quick release. Serve: Remove the meatballs from the tomato sauce. Confirm the internal temperature of the meatballs is at least 145°F. Optional: Continue to reduce the tomato sauce until desired consistency. Taste the seasoning of the tomato sauce and add in more salt and pepper if desired. If you like, sprinkle more cheese on top of the meatballs when it's served. For Juicy Meatballs: Meatballs' juice will continue to escape into the tomato sauce the longer you cook it, so if you like juicy meatballs, it is best to serve immediately or keep warm for up to 30 minutes. Freezer Meals or Batch Cooking: Cook a bigger batch and freeze some cooked meatballs in the freezer for up to 3 months. 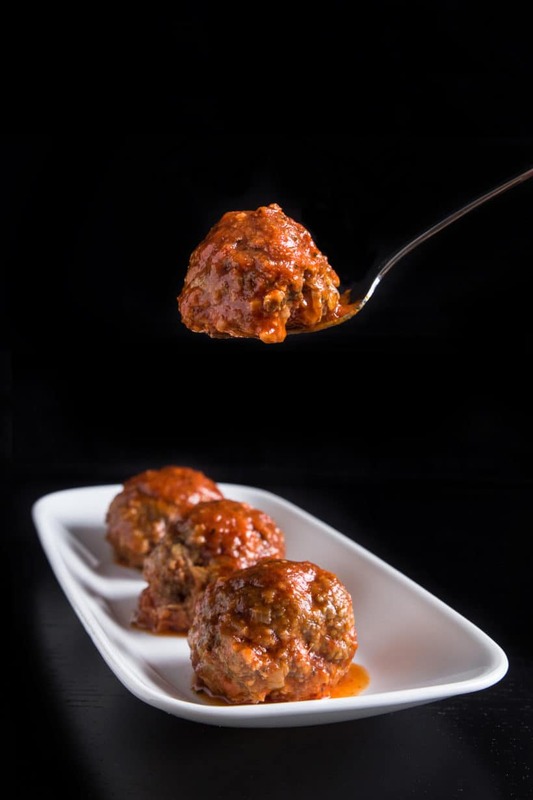 Reheating Frozen Meatballs: Depending on the size of the Instant Pot Meatballs, you can pressure cook them frozen with tomato sauce at High Pressure for 8 – 10 minutes, then Quick Release. Confirm the internal temperature of the meatballs to be at least 145°F before serving. 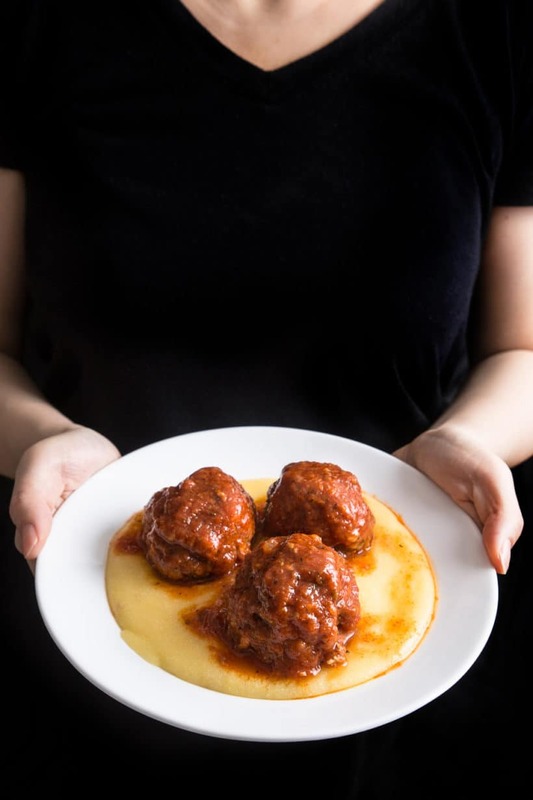 The smoky flavors of the minced bacon work well with the 2 melty cheese embedded in a meatball full of umami ingredients that complement each other. The sweet and sour flavors of tomatoes work really well with stocks. So, by mixing chicken stock and tomato paste into the tomato sauce, you”ll get a rich and savory red sauce. Yum! We’ve always made this delicious Meatballs in Tomato Sauce Recipe on the stovetop. So we wanted to see if our Instant Pot Pressure Cooker can do any better! We’ve cooked 2 batches of Instant Pot Meatballs: one batch with browning in the oven, the other batch without browning. We pressure cooked the first batch of meatballs in Instant Pot with the easy tomato sauce at High Pressure for 5 minutes, then quick release. 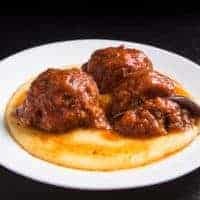 Results – The meatballs have soaked in a lot of the juice and flavors from the tomato sauce, so they were super juicy and moist. However, the flavors and textures were a bit flat compared to the browned version. We pressure cooked the second batch of meatballs in Instant Pot after browning them in the oven. Results – The flavors and textures were noticeably better than Test A – non-browned version. The browned Instant Pot Meatballs were a bit more delicious than the ones we usually make on the stovetop with browning. This is because the Pressure Cooker Meatballs have a bit more juice soaked into the meat and cooks a wee bit faster. Beat Egg: Make sure the egg is beaten before adding it to the meatball mixture. Test Meatballs Seasoning: It’s important to test the seasoning of your meatballs mixture by cooking a small piece of it first. Cook it on a pan over medium high heat, adjust the seasoning and repeat this step if necessary before proceeding. For Juicy Meatballs: Meatballs’ juice will continue to escape into the tomato sauce the longer you cook it, so if you like juicy meatballs, it is best to serve immediately or keep warm for up to 30 minutes. How to Make Ahead & Freeze Meatballs: Cook a bigger patch of pressure cooker meatballs and freeze the cooked meatballs in the freezer for up to 3 months. 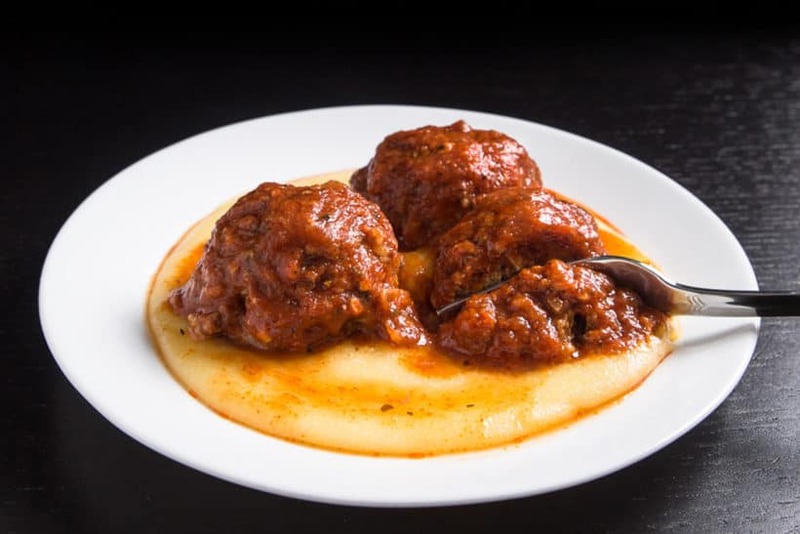 How to Reheat Frozen Meatballs: Depending on the size of the pressure cooker meatballs, you can pressure cook them frozen with tomato sauce at High Pressure for 8 – 10 minutes, then Quick Release. Make sure the meatball’s internal temperature to be at least 145°F before serving. Did i miss it? 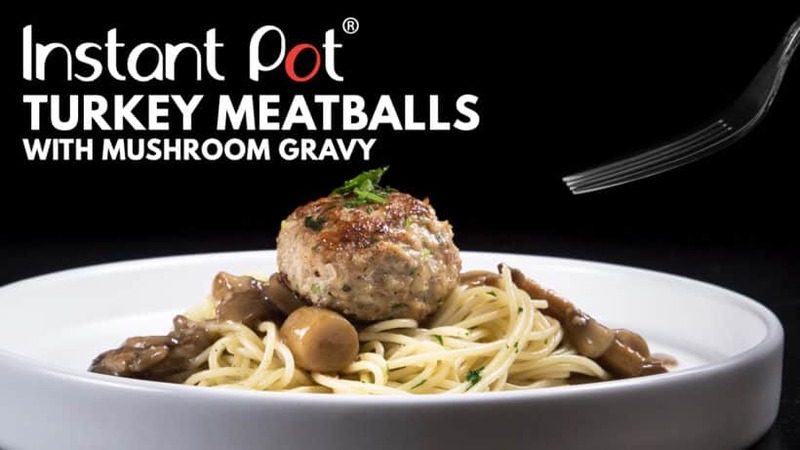 How much time to PRE-HEAT POT before cooking meat balls? You don’t have to pre-heat the Instant Pot to cook the meatballs. In the main picture, the meatballs seem to be sitting in a pool of a yellowish sauce, is this a cheese sauce? Dfntly should have paid attn to the —ground fennel! Oh well! Only used half cuz not crazy about but still gave great flavor. Dfntly adding to the keep basket! Can’t wait to try this recipe; my goal this year is to use my instapot at least once a week making dinner. We are not bacon eaters, but it seems like that must help keep the meatballs so moist? Any suggestions on a sub for the bacon? Thought of adding prosciutto but not sure if that is fatty enough? Thanks in advance. I recommend omitting the bacon for this recipe. Wow!! Sooo good. Perfectly juicy and super tasty. Also love that these are browned in the oven instead of a skillet (way less messy!). Thank you for a great recipe!! I just want to say that I am an avid online recipe searcher. I bought an instant pot not too long ago and I am OBSESSED. I’ve never written a review before but I had a sudden urge to because this recipe produced the BEST spaghetti sauce I have ever made! I was so shocked given that the sauce was primarily made of tomato sauce and tomato paste only, must be the juices from the meatball! You know it’s darn good when your boyfriend is licking the sauce off the plate when there were no more meatballs + spahgheti left.. but I mean.. I was doing the same! Can’t wait to try more of your recipes! Thank you so much once again Nicole 🙂 !! Just made these meatballs and it was so easy! Very tasty but left out the fennel. As a personal preference I’m not sure I like the bacony taste but my husband will love it! I will definitely make these again and try them minus the bacon. Thank you for ANOTHER successful recipe! Can i use jarred tomato sauce for this? I have a jar of Rao’s marinara sauce and was wondering if i can just use that in this recupe. Jarred tomato sauce will work, but you will have to make sure it is not too thick. If it is too thick, you will want to dilute it with some chicken stock. Yes, you can make it smaller. I recommend decreasing the cooking time by a minute. Just another suggestion for a low carb alternative to panko – crushed (in food processor) plain, pork rinds. 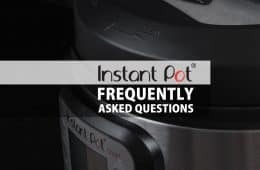 I was using my Instant Pot for well over a year before I discovered your site; now, your’s is the first place I look for recipes and tips. I am now a convert to fish sauce too! Fabulous site and thank you so much for all the time and effort you put into your experiments! No other site, that I have found, does that! You two are awesome! If I want to double this recipe, should I double just the meatball ingredients or both the meatball and sauce ingredients? And I’m just confirming the time stays the same? P.S. Love all your recipes! Doubling the meatballs ingredients will be fine. The cooking time will stay the same. I do not generally care for meatballs, but hubby is a fan, and super picky. These are amazing, so tender and flavorful. The only thing I changed was using crushed tomatoes instead of tomato sauce and half the amount of chicken stock, as the sauce was a bit too thin the first time I made this recipe. Thank you so much!!! Happy to hear you and your husband enjoyed it. Made these tonight. Absolutely delicious. Every recipe you post is so good. Thank you thank you! Such great flavors, techniques, instructions. I feel like I should be paying for this! If there’s a way to support your work I’d like to know. You are already supporting us by visiting our site and using our recipes. 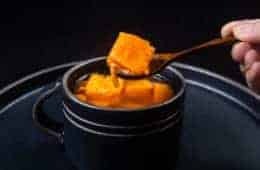 Do you have a recipe for that polenta (either for the IP or on the stovetop)? It looks as good as everything else you make! We will probably publish a polenta recipe for the IP in the near future. We are having an April blizzard in Minnesota, and since they are advising no travel I decided some comfort food was needed. 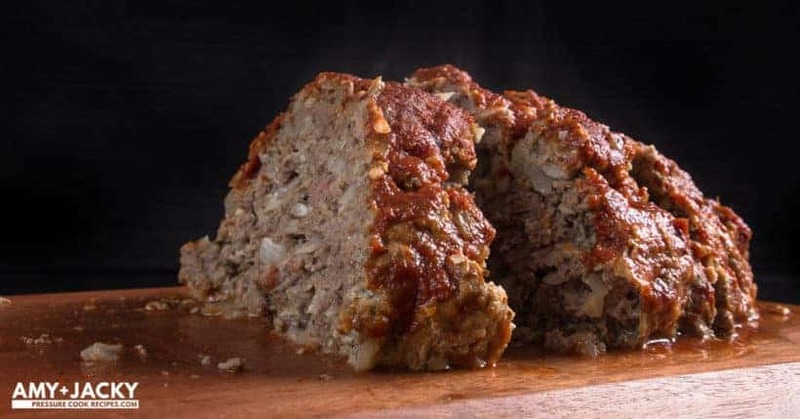 Your meatball recipe is delicious and so easy to make! Blizzard is not fun. Please take care & stay safe! This is amazing! We serve it over some rigatoni but I can’t wait to get a baguette and make the leftovers into sandwiches!! Thank you for your easy to follow instructions and video. They help so much. Can I make these in the pot without sauce. Just one cup of water? Yes it will work just fine, but the meatball will be less flavorful. Hi there, is it ok to skip the panko if I was trying to go low-carb? The panko is used to bind the meatballs together. It will work, but the meatballs may crumble a little. Do I cook the sauce for the four minutes and than add the frozen meatballs for another 8 to 10 minutes? You can cook both of them at the same time for 8 – 10 minutes. Woah!! Thanks for this great recipe. This was my first instant pot meal & it was so easy + tasty! Definitely a juicy, softer texture that is great with some toasted baguette. Yum! I made these last night and they were absolutely delicious! The recipe is perfect and easy to follow. I had never made meatballs before and can’t believe how much flavour could be packed in to them! Definitely a new family favourite. Many thanks! Just wondering if the Panko can be subbed with almond flour? Any other suggestions to make this low carb? Cornmeal, almond meal, and almond flour should work. I made this tonight and it was outstanding! The meatballs were juicy and incredibly flavorful. The bacon gave them such a wonderful smokiness. The sauce was delicious as well and so easy! This will be my go-to recipe in the future. Thanks! These look wonderful! Could you please tell me what type of ground beef (i.e., what percent fat) you use for this recipe? Thanks! Hi Diane, I believe it was 15 – 20%. Im planning on making a large batch for our open house this weekend. For the freezer option… do you freeze them in the sauce? Is that how you intended it with the reheat instructions? Thanks! This is my second time making them–they are so yummy! Both ways will work! You can freeze them together or separately. 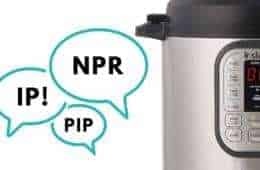 I just received my InstantPot and can’t waitto try this recipe! If I need to make these meatballs dairy-free, what do you suggest I use to replace the milk and cheese? We also do NOT eat pork in our home, so I cannot substitute with lard. If this is not an option, you can skip it and see how you like it without the milk and cheese. So happy to hear from you Olga! Hope you have been doing well! You can leave out the fennel, but the flavor is not overpowering in this recipe. I am quite positive your kids will like it! What are these over in the pic? Kind of want to eat that too. Is it polenta?? Will these taste ok without the bacon? Or is there a healthier substitute? I know, everything tastes better with bacon but just thought I’d check! These will taste good without bacon. You can substitute it with a few drops of liquid smoke for the smokey flavor. If I doubled the recipe, do I need to change the cook time? I’ve made these once already and they were so delicious that I’m making them for a dinner party. Thank you for the wonderful recipes! You don’t have to change the cooking time. Hello Amy and Jacky, I simply love your site! Got my instant pot last month and just slowly working through your recipes :)!! If I dont have time to make the unsalted chicken stock, what can I substitute it with? Normal chicken stock and dilute it slightly? Thank you for your help! Normal chicken stock will be too salty, but store bought unsalted chicken stock will work great as a substitution. 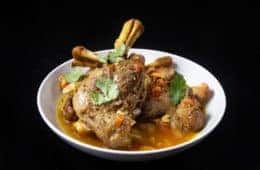 Hi I am lazy and newbie cooking with instant pot ? if I want to add penne to cook with the meat ball, do I increase the cooking time? Or would you recommend to cook meatball and pasta separately? Thanks. Can’t wait to try your recipe. Hi Spice, you will need a lot more liquid to cook the penne. About 3 cups of liquid per 1 lb pasta. Thanks Jacky. The amount of liquid you mentioned is in addition to the tomato sauce correct? Your ‘freeze for later’ directions state to freeze cooked meatballs and when ready to eat cook them in the pressure cooker. Can you please clarify? Should we pressure cook the meatballs prior to freezing and then pressure cook again when ready to eat? Or should we just brown in the oven prior to freezing? Thank you! The meatballs can be fully cooked first prior to freezing. Reheat in the tomato sauce when ready to eat. or you can freeze the uncooked meatballs (without browning) and pressure cook them when ready to eat. I want to make these so badly! I cannot have cheese, I know, why keep on living? Do you think there is any substitute for the cheese or am I doomed to continue to exist in an umami bomb-less world? I would substitute the cheese with some solid pork fat (lard) mixed into the meatball mixture. As usual, I was not disappointed by your recipes. I made the meatballs with 1 lb beef and 1 lb pork (we raise pigs) and they turned out great. I made the sauce using my canned tomato sauce and fresh herbs and will freeze half the meatballs for another night…..if I can keep my husband and sister from eating them off the tray! I made this tonight and served over sauteed zucchini noodles. It was a success with everyone, including my very, very picky son with autism! I did add about a teaspoon of sugar to the tomato sauce because the acidity needed to be cut a tad (and because, ya know, I’m American) but other than that I didn’t change a thing. I almost omitted the bacon because I was out, but I’m SO glad I went to the store for some because it added that true umami taste that I don’t think it would have had otherwise. Thank you so much for your kind words and giving the recipe a go! We are so happy to hear your family liked the recipe!! In the instructing you say to add more salt if required. I do not see salt mentioned previously and you specify unsalted broth. Have I missed the first salt that I might add more to? Thanks. Hi, When I click on your links for the tomato sauce and paste, I get a 15 oz. and 6 oz. can respectively. However, when I convert the ml to ounces the amount is slightly less. Does the difference matter or should I just use the standard U.S. cans? The increased amount will make a slight difference. You may want to increase the amount of basil and dried oregano. Hi there, just curious- could I use ground turkey in this recipe and follow all the instructions as listed? except maybe brown in skillet the way you make your other turkey meatballs? any advice is appreciated thanks! I have a Pressure King Pro, what programme would your “High” be please? What is under the meatballs? Tried this recipe but I’m receiving an overheat error… what am I doing wrong? EEK! 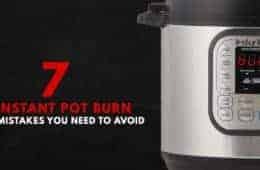 Overheat error usually happens when the pressure cooker cannot generates enough steam to get up to pressure. The tomato sauce may have been too thick for the pressure cooker to generate any steam. Make sure to use 2 cups of chicken stock to dilute the sauce. instead of browning in the oven, would it work to sautee the meatballs in the pot before cooking? i hate using my oven now that i have the instant pot! Yes, you can saute the meatballs in the pot before cooking. Be sure to allow the meat to release themselves from the pot before flipping or they will break into pieces. Do you have any ground turkey recipes in the pressure cooker? 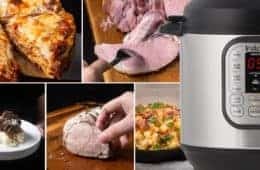 I have been searching for help on cooking a frozen chuck roast….have used a reg pressure cooker for years but this instant pot is all new to me….main question….can I start it frozen and how much liquid..and how much time…. thanks in advance for your help…. You can start with a frozen piece of chuck roast. However, it will not brown well so the end dish will be less flavorful. 1 cup of total liquid is a good start as too much liquid will dilute the flavor. For timing, you can check out this chuck roast experiment we did. I would add about 3 – 5 extra minutes for frozen pieces. If I make smaller meatballs, does the cook time in the pressure cooker change? We prefer ours to be on the smaller side. I made the Meatballs and sauce this evening in my Instant Pot, and they were very good. Thank you for sharing your recipe!! 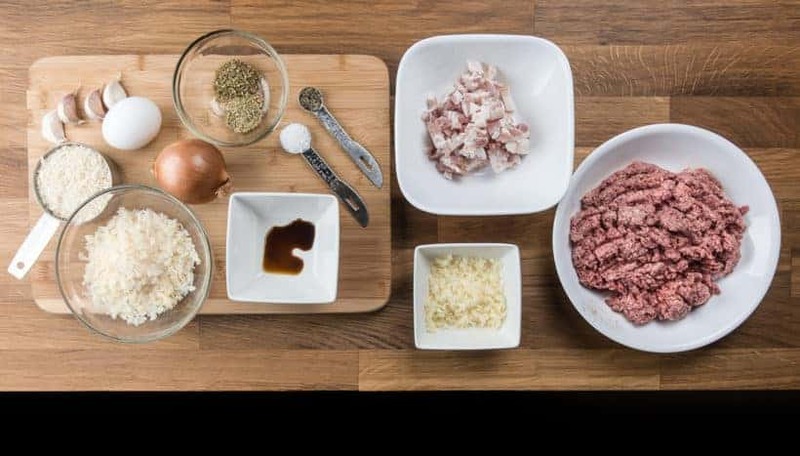 Do you sauté or cook the bacon first, or just mince it and add it to the meatball mixture? Thank you!! I don’t get it. Why use the pressure cooker for this? What’s the advantage? Seriously, wouldn’t this be just as quick and easy on the stovetop? Great question. It takes about the same time to cook this recipe by itself on the stovetop. The advantage is hand-on time is less in the pressure cooker. 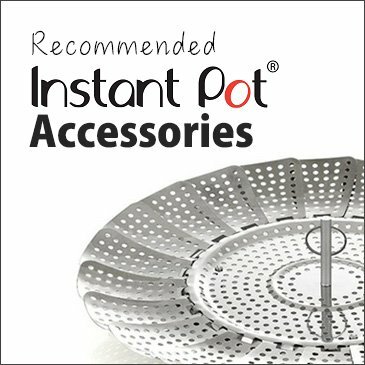 If you layer a steamer basket and place some chopped potatoes in, you will be able to make some mashed potatoes at the same time in the pressure cooker as well. I made your meatballs in tomato sauce in the instant pot and it was amazing. Meatballs were tender. The sauce was delicious, my husband was amazed that with so few ingredients the sauce was so delicious. Love your site. Thank you for using our recipe. So happy to hear that you and your husband enjoyed our instant pot meatballs and tomato sauce!